For those who have been asking. 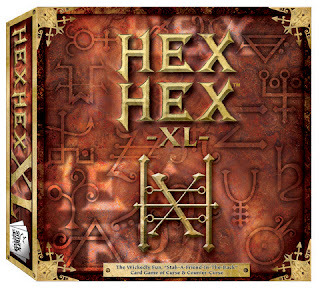 Hex Hex from Smirk & Dagger Games has been out of print for over a year. 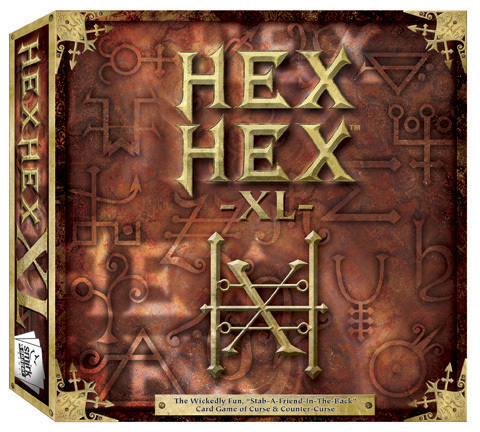 It was announced at the GAMA trade show that we recently attended that an updated version of Hex Hex is planned for release in July 2012 and will include two new variants. We will continue to provide updates as we learn more information. At Off The Charts Games, we have a store full of fabulous board games. If you're looking for strategy and Euro games - come see us. War games more your style, then our store is the place. Throw in card games, dice games, and party games and you've rounded out our game collection. And, for the puzzle-minded we have a great selection of Ravensburger and White Mountain puzzles. We serve Gresham and the greater Portland and Vancouver area so come on in and see what's in store for you! We are here to help you put fun on your table.